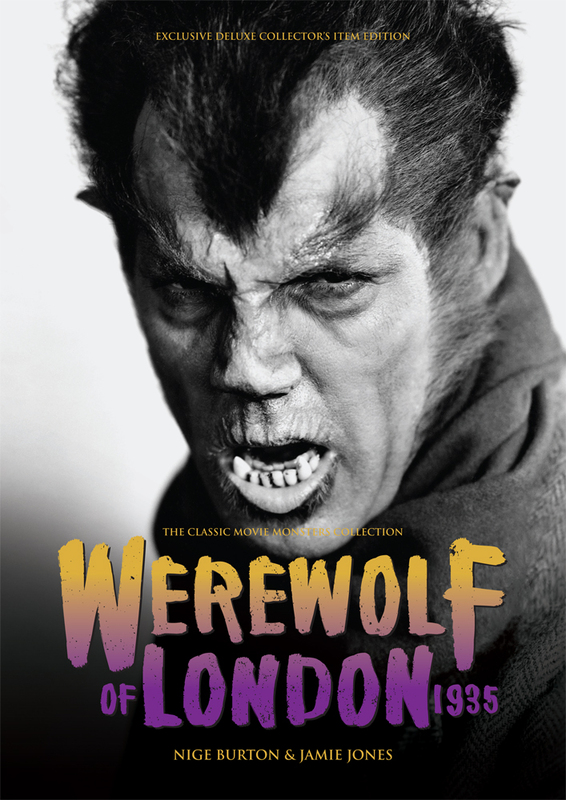 Rediscover your favourite classic werewolf movies with our trio of full colour movie guides, with reduced cover price and combined shipping! The werewolf is one of horror cinema’s most beloved monsters, but this terrifying evergreen has taken many forms over the years. Our Werewolf Movie Guide Trio Saver Bundle features three full-colour werewolf movie magazine guides, giving you the chance to explore the very different ways in which lycanthropy has chilled and thrilled us over the years. 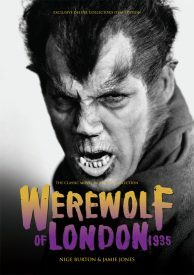 WereWolf of London 1935: As buttoned-up botanist Wilfred Glendon, Henry Hull brought us a demonically debonair werewolf in a story of mysterious flowers, broken hearts and a whole lot of terror. 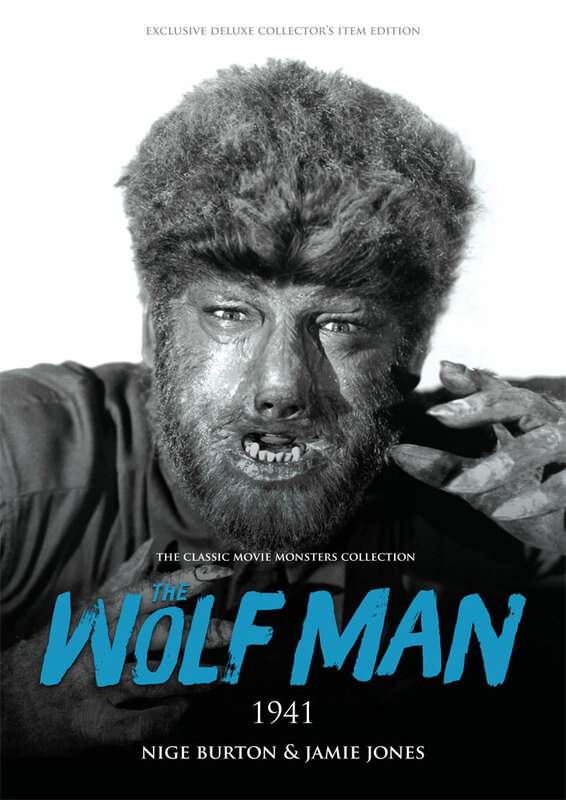 This guide is packed with crystal-clear stills and artwork as well as a wealth of information on how this classic werewolf movie came to snarling life. The Wolf Man 1941: Curt Siodmak’s screenplay created much of what we take for granted in werewolf folklore today, and the first instalment in the Wolf Man’s dramatic saga is rich in atmosphere. 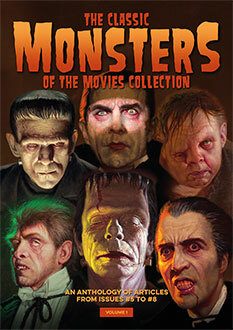 Discover the many sterling performances and the secrets behind the making of the beloved horror picture that introduced us to Larry Talbot. 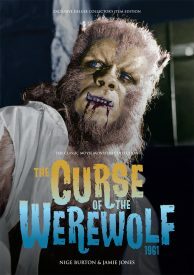 The Curse of the Werewolf 1961: Hammer’s only werewolf movie took werewolf mythology in a new direction, with a sultry Spanish setting and an air of deep tragedy as Leon (an astonishing performance by Oliver Reed) faces his destiny. 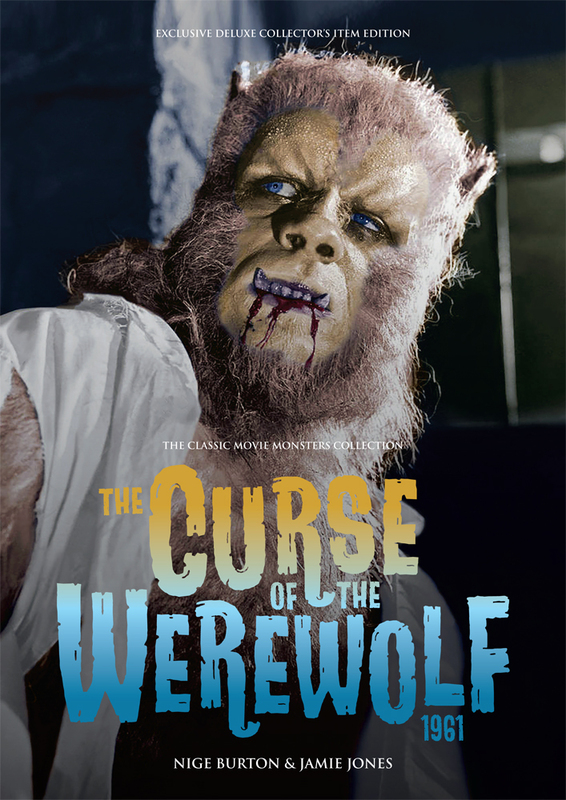 The vibrant design of this guide captures the excitement of an iconic moment in werewolf movie history. 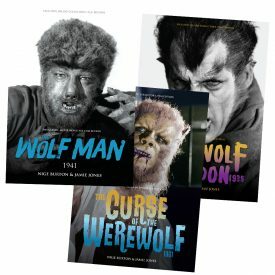 If you love werewolf movies, this saver bundle is the perfect addition to your Classic Monsters magazine guide collection!